There are two things I look for in recipes when meal planning for my family. I look for easy recipes, and I look for cheap recipes – because feeding a big family needs to be quick and affordable. 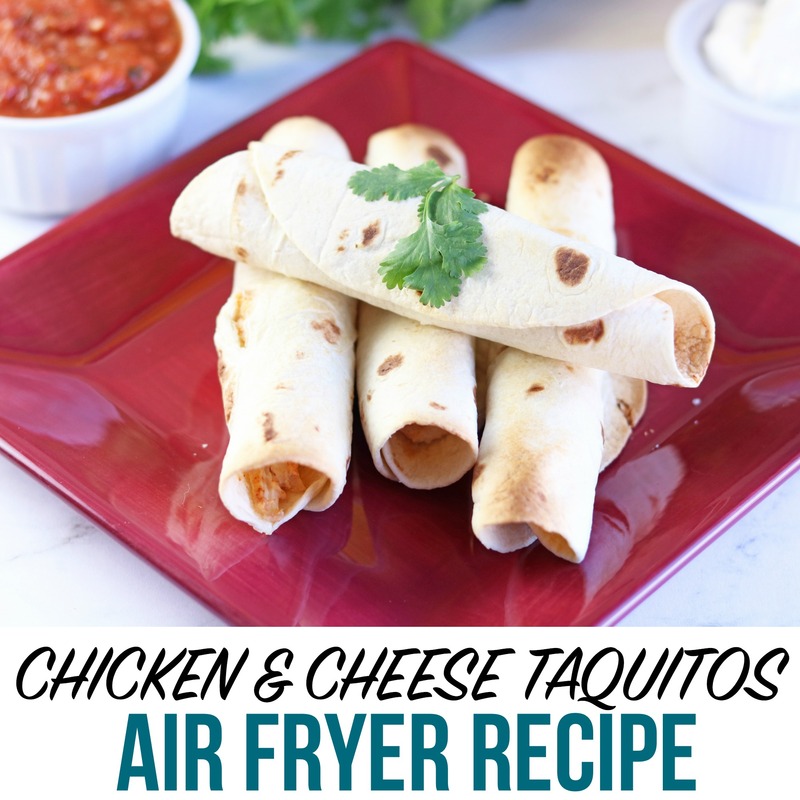 This chicken taquito recipe uses the Air Fryer. After the crock pot, and the Instant pot, the Air Fryer is the newest MUST HAVE kitchen gadget. I love gadgets to make my life easier – especially if it can cut down on cooking time and give me a healthier option with easy clean up. If you don’t have an air fryer you can certainly use a traditional pan frying method, or even bake them in the oven. I don’t know about you but when it comes to foods that my children will actually eat, meats are always inspected. Chicken is always a winner though so I like to have a few tried and true chicken recipes on hand make each weeks. Grabbing a few rotisserie chickens at the store to shred and use in recipes makes cooking so easy! If a rotisserie chicken is available at a good price, I’ll grab up a few of them. You can shred the meat and freeze in individual bags to use for dinners later in the week. This is a great recipe for making ahead of time and freezing, too! 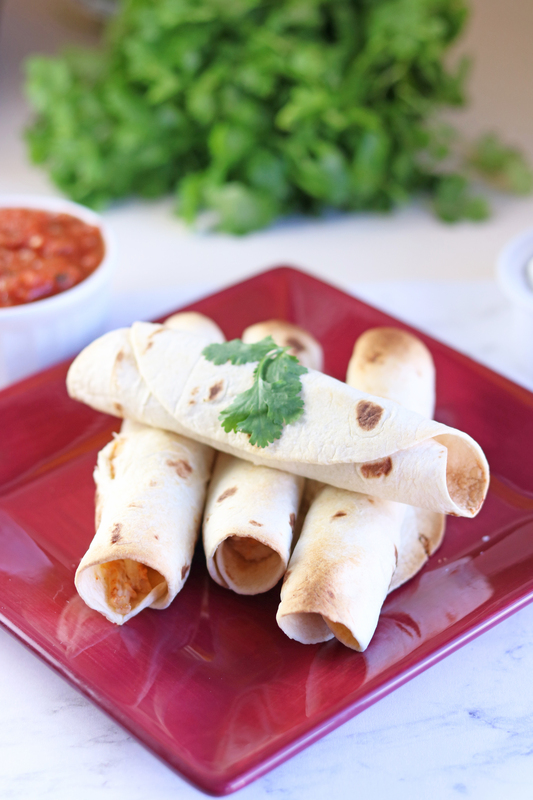 You can freeze the chicken and cheese taquitos once they’ve been air fried and use them for lunches or quick grab and go dinner on your way to a sports practice. Any time I’m making this recipe I make up as many as I can and freeze them in large freezer bags! 1. In a mixing bowl, add cream cheese and beat until fluffy. 2. Add seasonings and sour cream and mix until combined. 3. Add cheese and chicken to the mixture bowl, and mix again. 4. Put about 2 tablespoons of filling into each tortilla, then wrap them up tight, leaving about an inch of filling-free space at each end. 5. Place tortillas in fryer basket; avoid stacking them on one another. 6. 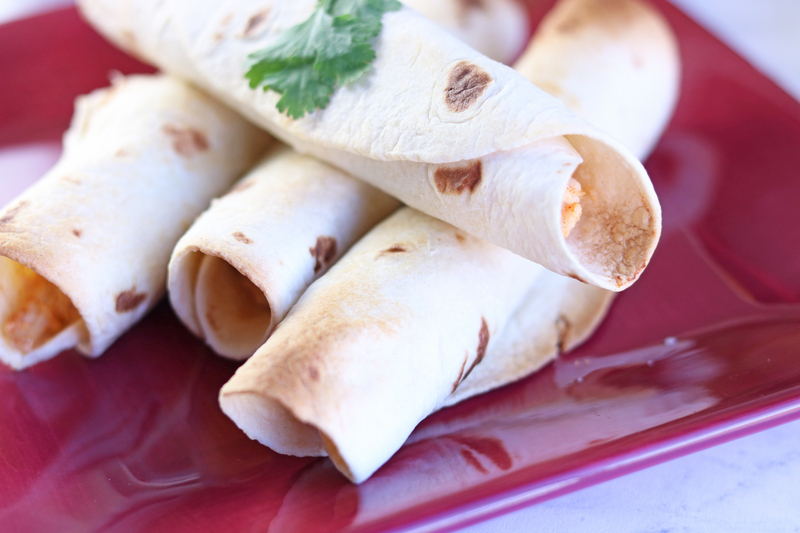 Bake in air fryer at 400 degrees for 12 – 15 minutes or until taquitos begin to brown and outsides are crispy. In a mixing bowl, add cream cheese and beat until fluffy. Add seasonings and sour cream and mix until combined. Add cheese and chicken to the mixture bowl, and mix again. Put about 2 tablespoons of filling into each tortilla, then wrap them up tight, leaving about an inch of filling-free space at each end. Place tortillas in fryer basket; avoid stacking them on one another. 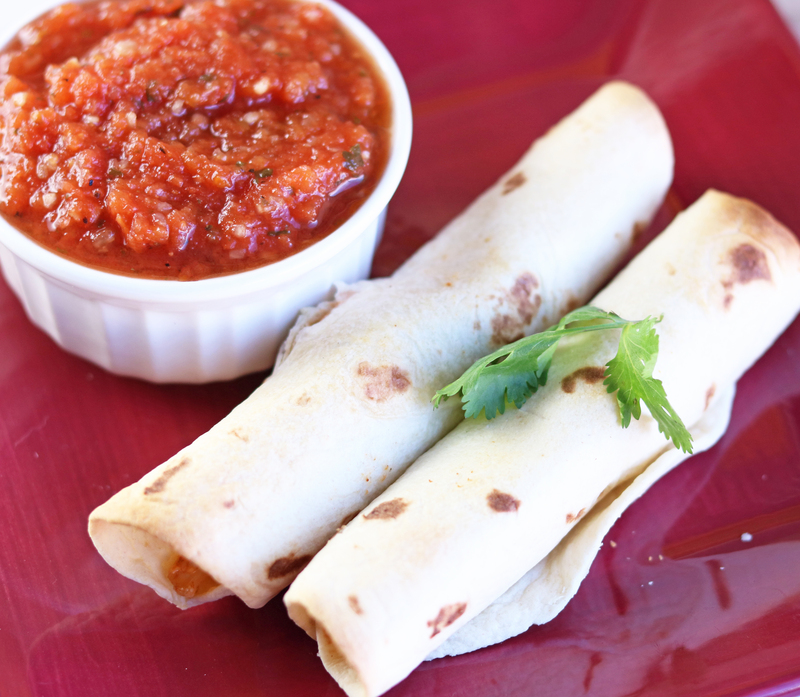 Bake in air fryer at 400 degrees for 12 – 15 minutes or until taquitos begin to brown and outsides are crispy.